I don't have to pay double for a leave in conditioner. Most of the leave-in conditioners that find their way into Nigeria are hard to find and can be very expensive. Nourishes, fortifies and moisturizes hair. 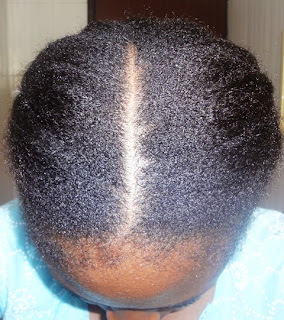 "Natural Nigerian Moisture and Shine detangling leave in conditioner is a light weight , pH balnaced conditioner which can be used to detangle as well as improve the general manageability of your hair." It contains plant derived active ingredients. Protects hair from heat . After reading the ingredients and recognising some as being suitable for my hair, I opened the bottle and the first thing that hit me was the yummy citrusy fragrance. The smell reminded me one of my favourites; citrus cake. 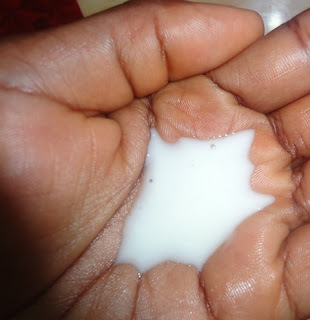 I poured a bit on my palm and noticed that the consistency was light...hmmm....this girl is used to thick conditioners oh. Well, there's always a first time. To get the best results, I washed my hair and did a deep conditioning treatment. After rinsing off the deep conditioner, I was too tired to do the usual detangle, smooth and layer products on my hair. So I applied some leave in, detangled, smoothed my hair and then braided it for the night. By the next morning, my hair was dry and felt very soft after take down. Okay:). 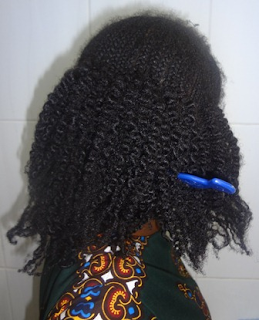 Apply the product immediately after washing and braid. 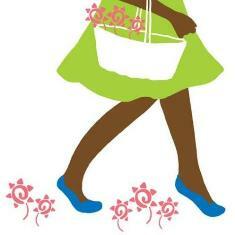 The next day, apply very little coconut oil or shea butter for added shine and manageability. Put some water in a spritz bottle, pour in some of the product and shake. Working in section, spray on some of your mix, smooth hair, apply some butter or light oil (sealant) and braid. Put hair in a bun, smooth very little amount of the product on your hair, and tie with a satin scarf. Proceed to do prepare for the day. After some minutes take down scarf and rock your smooth , curly fro. 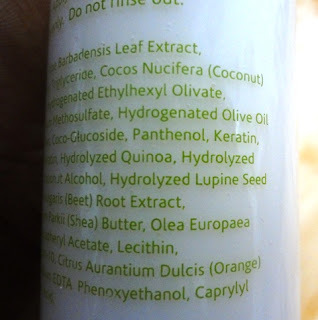 The leave-in's consistency is light: I don't think anyone (at least I know I don't) enjoys the hours and days it takes to air dry natural hair so this product should be great for naturals with long/full hair. The lighter the product the less time it takes to dry your hair. The fragrance is awesome: I just love how the leave in leaves my hair smelling fruity. 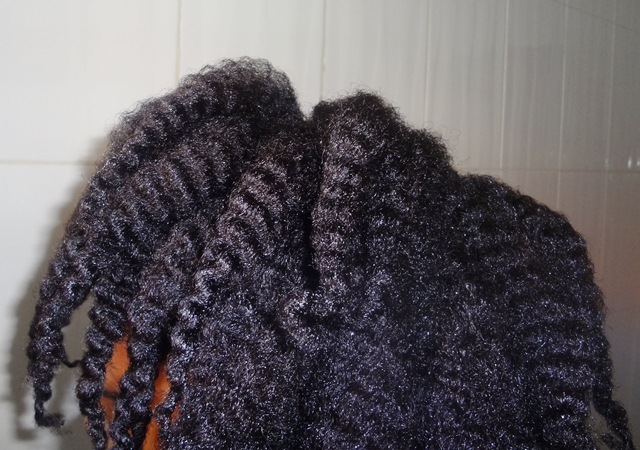 The product can be used without using oils: If you are one of those lazy naturals (like myself) who gets tired of layering product after product just to get soft manageable natural hair, then this product is for you. Because the product contains oils and butters like shea butter, a little goes a long way. Too much and your hair would feel slippery and oily. Applying too much oils after using the leave in to seal in mositure would give you the same oily result. This is a plus as you would be able to save your oils and butters. 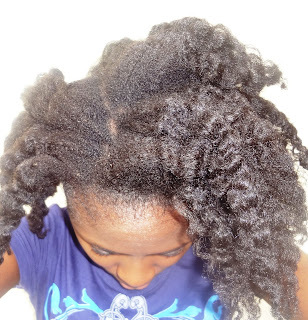 Detangling: The leave in was also able to deliver on this promise. Dry hair? Apply some of the leave in to your hair (in sections) and detangle using a comb or your fingers and the tangles would come apart. I haven't found anything I dont like about the product. Its been more than 2 months but I think we are still in early days. If you are a frequent Dbk visitor you would have noticed that I use different products in different weather conditions (weather change = regimen/product change). Given the pros, I am hoping that I can use this product all year round. Although I did not pay for mine, I gats recognise that the leave-in is slightly pricey.Trust me when I say I understand how difficult it might be for some of us students, job seekers and frugal people to pay N2500 for a bottle of conditioner. But I think that if one uses the product in moderation, a bottle can last for a whole semester. I got mine in July and between my 2 sisters and I, that leave-in has survived more than 3 wash days (each). And guess what, I still have more than a quarter of the bottle left. Remember moderation is KEY. On the left is the amount of coconut oil I use to NN leave- in conditioner per section. Please note that I use very little product because I can't stand oily hair. If this is too little find the quantity that works for you. 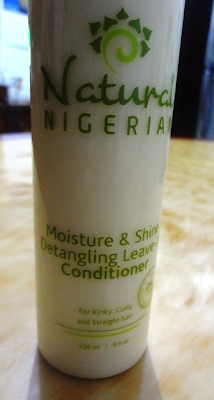 Have you used the Natural Nigerian leave-in conditioner? If yes, please share your experience below. I want to try the leave in product but the price discouraged me. still hoping to get it sometime. on the other hand came across an Abuja lady who makes hair product. bought her leave in and black soap and both cost me 2000 naira. haven't used the black soap yet but tried the leave in and so far so good I guess. Love that you are patronising our Nigerian business owners! You know, the pricing of each product depends largely on cost of production. What goes into NN's leave-in might be very different from what goes into your leave-in and this would affect the price. 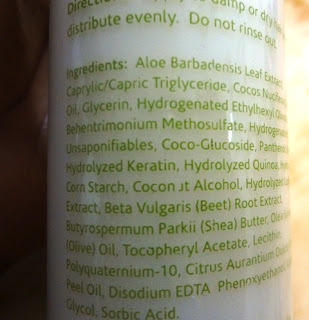 As always use what works for you and be sure about what ingredients your products carry. I am so glad to hear that you have found something that you think may work for you year round. I have found for my hair that those products which work best are light. Too heavy and my hair stays "wet" for days or feels weighed down and lifeless. This product seems to have a lot of promise for you. I hope you'll keep us posted on its continued use. Inquiring minds just have to know. I have missed reading from you. So true about your take on heavy products: hair not getting dry on time and the heaviness that these products leave. I for one assumed that the thicker the product the more slip I'll get. This leave-in is light but still has enough slip. how do you manage to use so little? Anytime I'm light handed with my hair, it doesn't end up well moisturised. I'm not sure my hair likes Aloe Vera Juice, but I will revisit the leave-in, and give it another try. Glad you could stop by:) .What you see there isn't for my whole head of hair oh. know that I always work in sections and the measurement above is for one section,I think I should do a post showing how much product I use on each section. Have you heard about smoothing? The smoothing technique is what helps me control how much product I use. Lots of oil and product can help smooth your cuticles and in turn give you manageable hair, while lots of smoothing and a moderation in oils and leave ins gives you same results but without oily hair. I will get NN's leave-in Conditioner and see how it will work on my hair. Great! Please do and give a review if you can. I'll love to read it. Hello, this site is amazing. Finding good product in Nigeria can be very taxing if one doesn't know where to look. Please where can I purchase this leave-in conditioner? I can't seem to find it on any of the major online stores. I live in Abuja, if anyone can be kind enough to direct me to where I can get this or an equally good alternative, I'd be really grateful. 2. Lumo Naturals store and salon at Suite G8, Mbouty plaza, marcus garvey street , behind emirates hotel, off 5th avenue, Gwarinpa. If you cannot locate any of the stores mentioned above please send an email to orders@naturalnigerian.com or eskinks@gmail.com.